Mine includes the snappily titled Windows 7 Home Premium, which I've booted into less than a dozen times, because the first thing I did was re-partition the disk and install Ubuntu Linux for my day-to-day environment. Don't worry, this is not going to be a technical review. As soon as you unbox it you start to see the design constraints and compromises in the layout. Yes, it's a standard clam-shell laptop; it's pleasantly thin (but no ultrabook) and it's lightweight (but no netbook). It is packing a punch in terms of screen size, spinning disk, optical drive and a full set of ports, not to mention an i5 mainboard. We'll cut some slack for the size and heft. Mine is in the 2001 Black Slab finish, so shiny it's a nightmare for fingermarks. It also suffers hugely from static cling, attracting every dust particle in the house. As my Dyson cleaner is so poor, I'll just wave the G580 around to collect the dust. The case is supposed to be scratch-resistant. However, it feels cheap and I suspect will scratch really easily. The edges aren't that well finished either; what's the opposite of seamless? Seamed in the extreme? I must remember not to drop it, I doubt it would survive. On the plus side, the hinges are firm with no creak, and the battery housing is tight. One word - bright. I am constantly turning the brightness down. It's like sitting on the observation deck in the Danny Boyle movie Sunshine. Pass the sun cream. Joking aside, it has the current standard 1366 by 768 (16:9 ratio) resolution, driven adequately by the Intel HD graphics chip. This isn't a gaming laptop, but it will edit and play full HD video. I know that keyboards are a personal taste and you get used to what you're used to. The G580 has a good wide chiclet keyboard with island keys, slightly dished, slightly spongey to start but with decent travel and a solid click onto the bed. It's not great, but not a disaster. I don't like the layout of the keys, but I have got a separate numeric keypad even though that means navigation keys are shuffled to odd positions. I found after four weeks I'm getting used to it. Awful. Horrible. It sits flush as part of the case, which is an interesting bit of design trickery. The pimpled surface feels odd to everyone who's tried it so far, but in use it's actually a good sensory aid. Sadly it's too close to the front edge, so there's no wrist-rest, and it's off-centre. It has buttons you need a sledgehammer to depress and tap-to-click on the pad itself needs almost as much force. Mind you, the twitchy, tiny trackpad on my Dell Netbook is worse. As the back of the machine is all battery, all the connectors are along the sides. The left side has a random placement of VGA, Ethernet, HDMI and two USB 3.0 ports. All these are at the front of the case where they will get in the way of anything else I've got on my desk. Seriously, both graphics connectors on the forward edge? On the right, the mini-jack for speakers/headphones is at the front right-hand corner. Other users have complained it gets knocked and bent - someone even managed to bang it through the plastic case and split the motherboard. Not good. The optical drive takes up most of the right side, while a thermal handwarmer (sorry, vent) takes up half the left side. There are no obvious speakers. They are all hidden away and covered over. Which means the sound has to transmit through plastic and whatever surface the machine sits on. That said, it's not as bad as previous machines where you muffle the speakers with your hands. The sound seems to emit from directly below the screen. I don't have any decent external speakers to test the Dolby. You will need some, or decent headphones to listen to music properly. Fortunately, the G580 is an almost silent runner, quiet in use with smart fan control. Battery does not last anywhere near quoted figures. If I get two hours out of it with a full deck of Firefox, VLC, Libreoffice and GEdit, I'm doing well. It takes an age to re-charge. Performance With a 2.5GHz Quad-core i5, 6GB of RAM and the slightly bigger 750GB hard drive, the G580 buzzes along happily with most tasks. It's no record-setter, but as a mid-price laptop I got what I paid for. Apparently nobody provides this anymore; the Lenovo documentation consists of just a set-up chart and a "manual-to-print" from the pre-loaded drive. Windows 7 Since you insist, Windows 7 works as a three year old operating system should. It boots up fast with the Lenovo quick start software including a tuning utility called EE Boot Optimizer. Most of the pre-installed software I removed the day I unboxed it, even so it took 4 DVDs to back up. It's not so full of bloat-ware compared to other manufacturers, there aren't endless demos or trial versions of software. There is a "one key restore" feature which, at the touch the dedicated button, restores the machine to it's "out of the box" disk image. I don't intend to try it. Since I removed the small partition on the hard drive for this, I can't right now. Just got four Lenovo G580s for a client who's always asking for them. Cheap and nasty- like the low-end, shiny plastic consumer-oriented models of the more common brands. In fact, Toshiba's cheapo range beats this for build quality and value for money, hands down. Good specs, perhaps, but let down by buggy firmware that makes it impossible to boot a diagnostics/installation CD or USB key without disabling UEFI and setting the SATA drive to legacy mode, whereupon the hard drive becomes inexplicably invisible (not even available as an emulated IDE drive). Apparently, many users have been waiting in vain for a patch/update to address this issue. This one came with Windows 8, and I will never be convinced that this is appropriate for a serious or professional machine... but due to the inability to boot anything else, I cannot install something appropriate. I've even read that the UEFI/Win8 combination offers even greater obstacles to such an endeavour, even when set to legacy mode (BIOS). If these hadn't been requested specifically by a client, I'd be telling my boss to send them back for refund. For the same money, you could purchase a rugged and capable machine with decent manufacturer support (meaning fixes for existing issues) that doesn't feel like it's been made from recycled carrier bags. Don't bother? 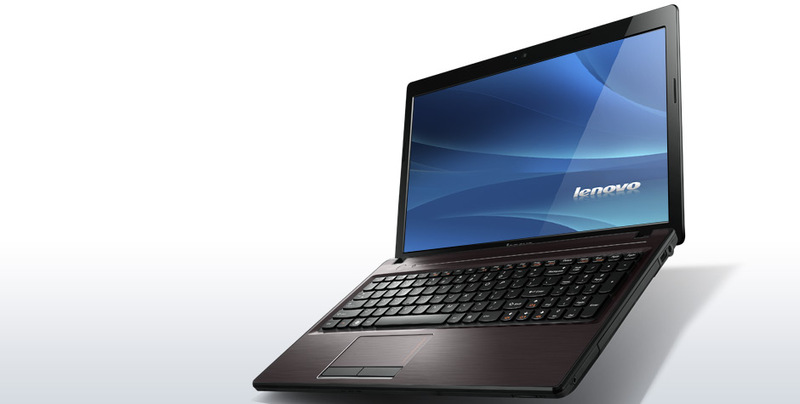 The G580 is even comparable to the newer Lenovo models out like the Lenovo IdeaPad U310. For the same money, what would you suggest against the G580? Oh boy! Windows8 and UEFI - combination from hell. I won't be touching anything with that on board. I'm not so damning of the build quality; it's not great, but then build quality at this price (and higher!) seems to be dropping.